For more than a decade, NJK Heating & AC has been a leader in Northern & Central Minnesota for HVAC installation, maintenance, and repair work. 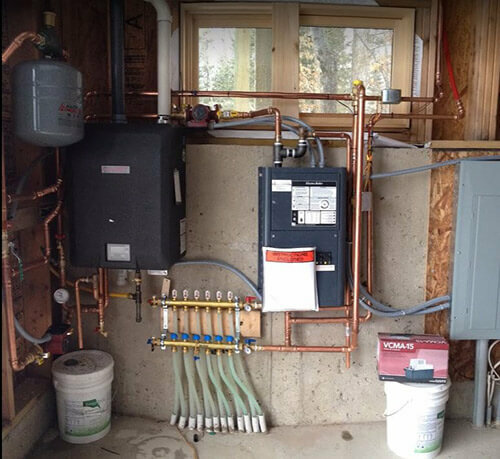 We specialize in working with air conditioning, furnace/forced air, and hydronic heating systems. Whether you want to schedule routine services or need emergency after-hour assistance, we’ve got you covered. The number one choice for heating and cooling solutions from Pequot Lakes, MN to Walker, MN. We Are The Best. When your heating system or air conditioning unit fails and can’t deliver the heat or cooling you need to live comfortably in your home, NJK Heating & AC is here to fix it properly and promptly. For years, we have been the top install and maintenance provider, and repair technician of your home’s heating and air conditioning installation in Cass County, MN and the Pine River/Backus areas. We offer service around the clock. In fact, we can address your heating and cooling needs year-round, at almost any time! If you wake up at night and notice your furnace isn’t working, give us a call right away. AC unit not delivering cold air on a hot summer afternoon? No problem! We don’t want you feeling too hot or too cold at any time of the year, which is why we are always quick to respond to your call. We’re based in Backus, MN, but even if you don’t live here year around, that’s okay: we’re willing to do what it takes to make our customers happy! We serve customers up to 50 miles away. We make it a point to call our customers on our way to their home/cabin, show up on time or call if we are running behind, and if it’s an emergency, we respond immediately. Rest assured that on every job we take on, we provide our customers with a parts and labor guarantee, as well as the best warranties in the business. Our dedication to your complete satisfaction means you won’t have to look anywhere else for heating or AC repair in Cass County, MN. We’ll do proper, prompt, and affordable work on your home, and leave it heating and cooling better than before. We specialize in working with most heating and cooling system brands. Our technicians are certified, honest, and professional. We repair existing systems or upgrade current system with new energy efficient ones. Our parts and labor guarantee reflect the confidence we have in our work. We’ve been in business since 2003! Need Heating or AC Repair? Whether you need your AC system repaired or a brand-new heating system installed, NJK Heating & AC can help. Call us today to set up an appointment.